All staff photos published in the Record-Eagle print edition during the week of August 9-15, 2009. Note: Some photos may not be available until late afternoon on the day published. Photos published on Saturday and Sunday will be available for purchase Monday. 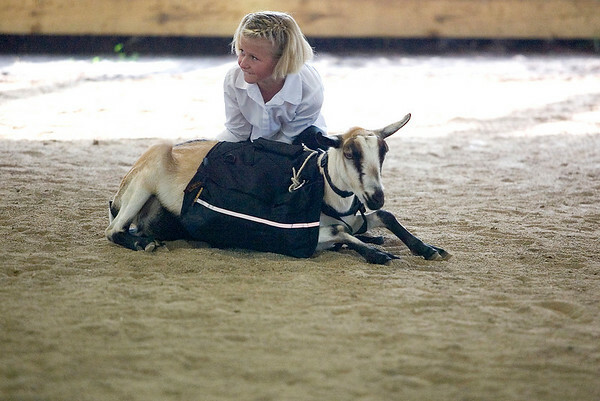 “He’s been really tired lately; he’s been showing all day,” said Kirsi Wildfong, 9, after her goat Snowflake decided to take a break in the beginner goat-packing obstacle course on Sunday at the Northwestern Michigan Fair.